Francis Fukuyama: Policymaker or social scientist? Francis Fukuyama, a Freeman Spogli Institute fellow and professor of Political Science received acclaim for his 1989 essay “The End of History?” that was well-timed with the fall of the Soviet Union. On May 8, Uppsala University announced the winner of the 2015 Johan Skytte Prize of Political Science. The prestigious award resembles a Nobel Prize in many regards, from its Swedish origin to the Prize Committee’s rigorous awarding criteria — it only commends the scholar who “has made the most valuable contribution” to the field. But this year’s awardee, Freeman Spogli Institute (FSI) fellow and professor of Political Science Francis Fukuyama, is familiar in more than just academia. In a sense, he is one of the most widely-known social thinkers in the world– “the modern version of Max Weber,” to quote Larry Diamond, director of the Center on Democracy, Development, and the Rule of Law (CDDRL) at the FSI. Fukuyama is both a widely-known public intellectual and a prominent political commentator. Fukuyama published his newest book, “Political Order and Political Decay,” last October. This volume, together with “The Origins of Political Order” — published in 2011, when he had just come to Stanford — summarizes Fukuyama’s innovative theory on political development. He identified three key institutions in political development — a strong state that provides quality public service, the rule of law that governs everyone equally, and democratic accountability that allows citizens to supervise the government. A prosperous country must be equipped with all of these elements. He was awarded the Prize for this theory, which, according to an official announcement from the Prize Committee, has shed “new light over the growth of modern political order,” a testimony to its scholarly significance. Given the various misunderstandings and misconstructions of his original idea that have ensued and persisted throughout the years, it is difficult to gauge how he feels about this association of his name with that article written 26 years ago. Born in Chicago in 1952, Fukuyama grew up in a family of academics. His father, Yoshio Fukuyama, a second-generation Japanese immigrant, received a Ph.D. in Sociology at the University of Chicago, where he met his future wife, Toshiko Kawata, the daughter of a renowned Japanese economist who founded the Economics Department of Kyoto University. 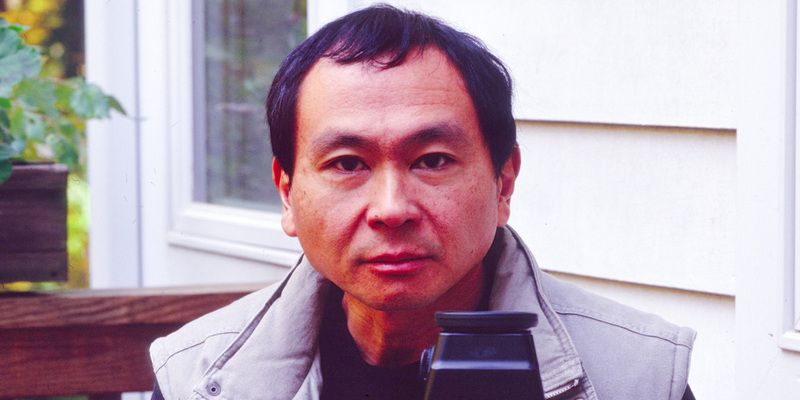 After graduation from Cornell, Fukuyama went on to Yale, and then Paris, to pursue his graduate studies in literature (and seek inspirations that would later result in an unpublished novel), only to find the literary enterprise too abstract to continue any further. When he returned to the U.S., he enrolled at Harvard as a political science Ph.D. candidate, turning his focus to concrete geopolitical issues such as Soviet military interventionism. His future career would oscillate between the concrete issues of public administration and the abstract problems in political theory. The sensation induced by “The End of History?” was beyond Fukuyama, then an official in the State Department working on nuclear weapon reduction. The article quickly led to a sellout of the the Summer 1989 issue of The National Interest. Initially, some believed that the article represented a premature declaration of American victory and a new policy initiative from the George H. W. Bush administration. When interviewed by James Atlas a few months later, Fukuyama, a “youthful 36,” clarified such misunderstanding. “I didn’t write the article with any relevance to policy; it was just something I’d been thinking about,” Fukuyama said. But what had happened in the following weeks would tremendously transform public perception. A little more than two weeks later, the Berlin Wall fell. In 1990, 26 former Communist states or constituents started to democratize. In 1991, the Soviet Union collapsed. By simply predating these historical events with unbelievable fortuity, Fukuyama’s article somehow became historical as well. For the most part, Fukuyama seems unconcerned about such fame or criticism. He expanded his article into a book, “The End of History and the Last Man,” in 1992, after the series of epoch-making events have largely settled down. It was only until 2006 that he revealed a slight disappointment in a new afterword to the book. “Many of those criticisms were based on simple misunderstandings of what I was arguing, for example on the part of those who believed that I thought events would simply stop happening. I do not want to deal here with these kinds of critiques, which for the most part could have been avoided if the person in question had simply read my book,” Fukuyama wrote. Reading through his book, or simply the article itself, one would realize that despite some occasional references to current affairs, “The End of History?” is a philosophical discussion. Here, “History” does not simply denote past events, but instead refers to a “meaningful order to the broad sweeps of human events,” a struggle for universal and equal recognition of a person’s values. Fukuyama believes that democracy has a moral basis because it recognizes dignity and worth for every citizen. He thinks that, in regards to systems of government, we would eventually “accept the judgment of the ‘marketplace’ of world history,” a marketplace similar to an economic one, where free competition is encouraged. When a particular regime displays no fundamental contradictions and the people are no longer radically discontented, this particular political system can be said to have “won” the competition in the market. To Fukuyama, liberal democracy is such a winner in the historical marketplace. Never has he intended that the particular system of America will end the History, but that point seemed to have escaped many of his readers. Therefore, when Fukuyama laid out a harshly critical evaluation of the United States in his new book “Political Order and Political Decay” last year, many commentators were taken aback and started to wonder whether Fukuyama has experienced a sudden transition in his academic thoughts. “The long-standing distrust of the state that has always characterized American politics has led to an unbalanced form of government that undermines the prospects of necessary collective action,” Fukuyama wrote. “In general, I think I didn’t pay enough attention to the state capacity early on,” said Fukuyama, when asked in what regards he had changed his mind over the years. He has dedicated an entire book, “State-Building: Governance and World Order in the 21st Century,” to the topic. The Iraq War turned out to have exerted a huge impact on Fukuyama’s perception of concrete, real-world policy issues versus abstract political theory. In the real world, he broke from the neoconservative policies of George W. Bush’s administration. Fukuyama had embraced neoconservatism, essentially the belief that Americans should uphold their moral values internationally, for at least as long a time as his public recognition emerged in 1989. Disappointed by the military actions of the George W. Bush’s administration, and even further by the unbridled enthusiasm of his ideological comrades, Fukuyama decided to break away from the doctrine, and thus from many friends and colleagues at the State Department or The National Interest. On the other hand, this transition would prove significant to his academic career. It would serve as the starting point for him to ponder over his End of History thesis again and come up with the theory that would win him the Johan Skytte Prize. Besides, it would lead him to an academic path that eventually brings him to Stanford. The failure of the Iraq War has prompted Fukuyama to devote considerable attention to observing political development in developing countries, from Iraq and Afghanistan to the Middle East and Africa. He discovered that many of these countries are poor because the states are too weak to function and provide basic services for their people. Fukuyama came to Stanford from John Hopkins University in 2010 as the first Olivier Nomellini Senior Fellow at the CDDRL. Diamond offered unreserved praise. If his first touch of political science at Harvard was an effort to seek engagement in the real world, after breaking away from neoconservatism, Fukuyama has chosen a more scholarly approach, a return to academia. “I think my favorite thing about his teaching style was that he himself was openly grappling with the questions he was posing to us, rather than simply guiding discussions towards a predetermined conclusion,” said Cooper. The content of that course, something Fukuyama had been working on since 2006, later became a book, “The Origins of Political Order,” an effort to trace political order of the current democracies and non-democracies alike from the very beginning. China, for instance, never possessed a tradition of bottom-up accountability or the rule of law that restricted the authorities as well as the citizens, but nevertheless has very strong state capacity — it established the first modern state equipped with a largely impersonal bureaucratic system as early as 200 B.C. On the other hand, a strong state has never been part of the American tradition. From the American revolution to the Civil Rights Movement in the 1960s, all major political struggles are dedicated to the principle of freedom — freedom from authoritarian control. However, Fukuyama believes that no historical or cultural traditions will ever be powerful enough to prevent liberal democracy from taking place. He explained how the tradition of rule of law originated and how it could take place without such a tradition. In other words, if political development cannot keep up with social development — “institutions fail to adapt to changing circumstances” — political decay will ensue. This idea has been employed by Fukuyama to explain the evolution of political systems, a process resembling biological evolution — the survival of the fittest. After such evolution, according to Fukuyama’s theory, the culmination of state capacity, rule of law, and democratic accountability will prevail as a political universal all over the world. By looking back at the origins, Fukuyama’s two volumes have substantiated the philosophical model sketched in “The End of History?” by providing a mechanism toward liberal democracy. Looking forward, Fukuyama will take over Diamond’s role of director of the CDDRL in September and focus on his role as a social scientist. He does not know whether he will resume his role as a policymaker in future. “There are some issues that interest me and they may not be connected to what’s going on in the headlines right now,” Fukuyama said. Contact Qitong Cao at qitong ‘at’ stanford.edu.